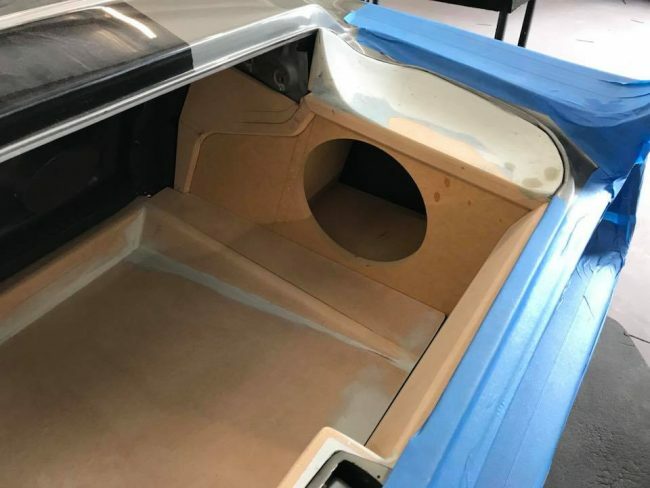 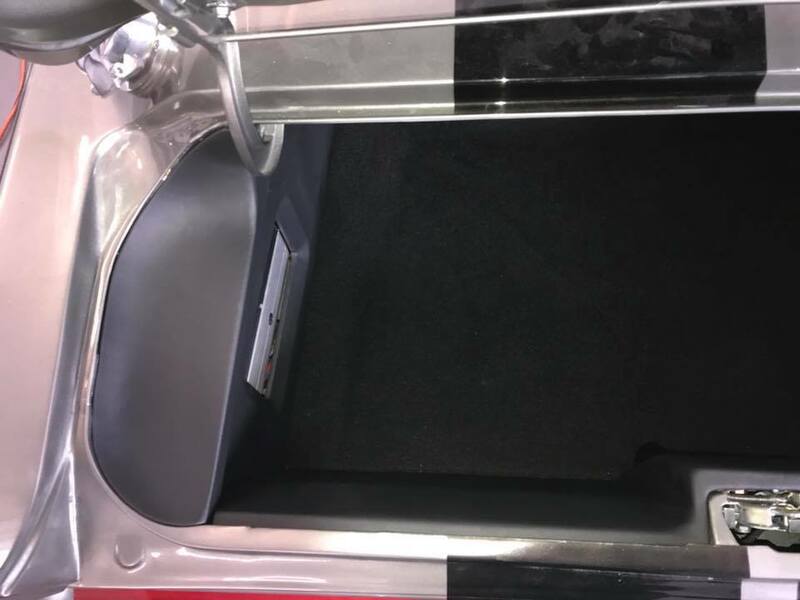 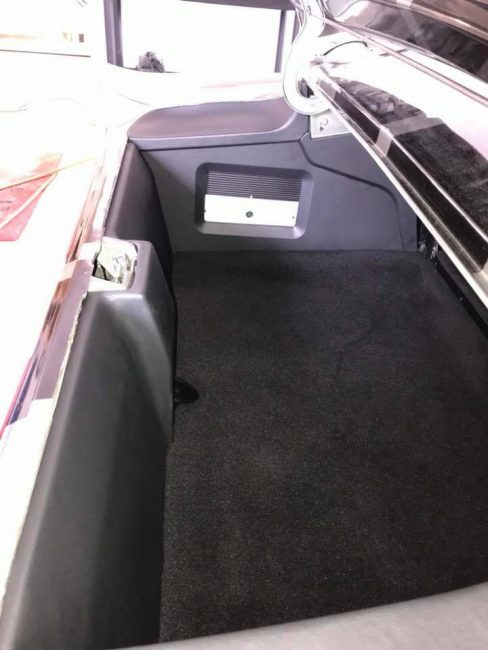 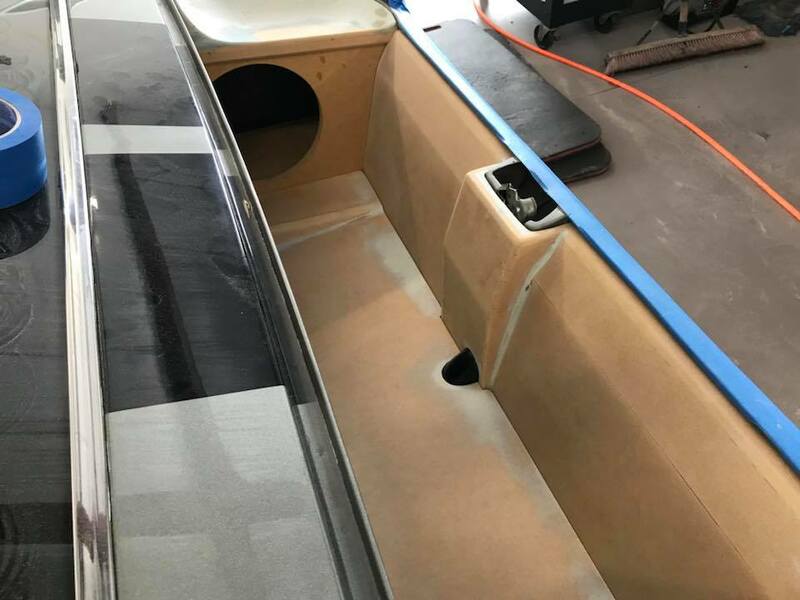 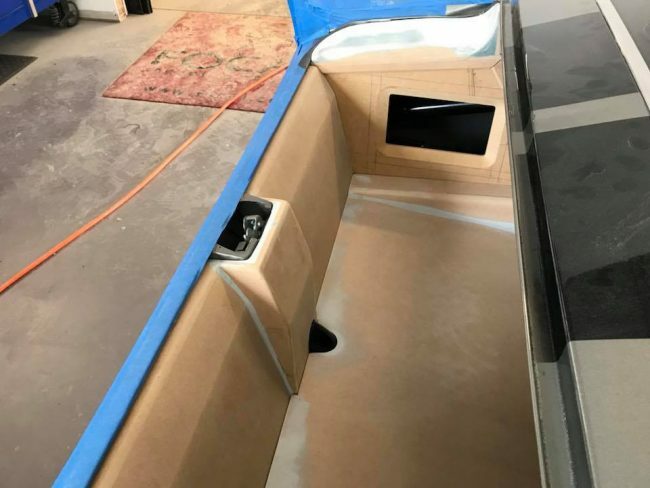 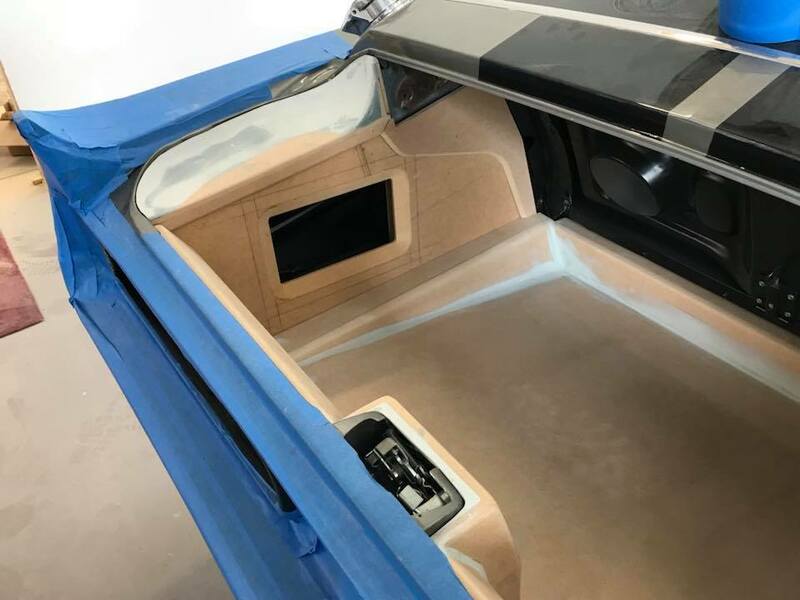 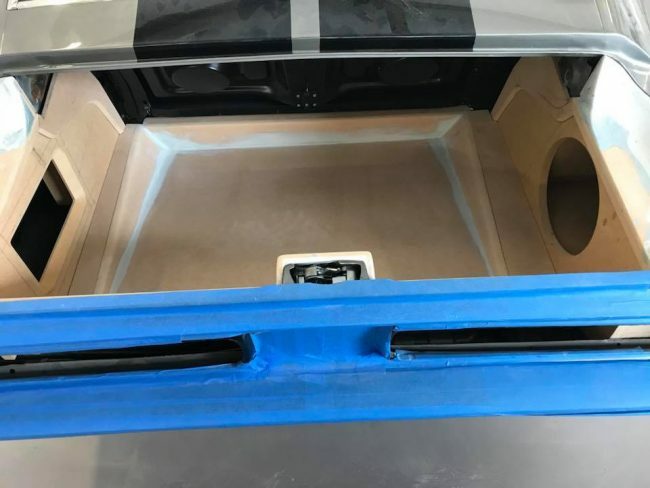 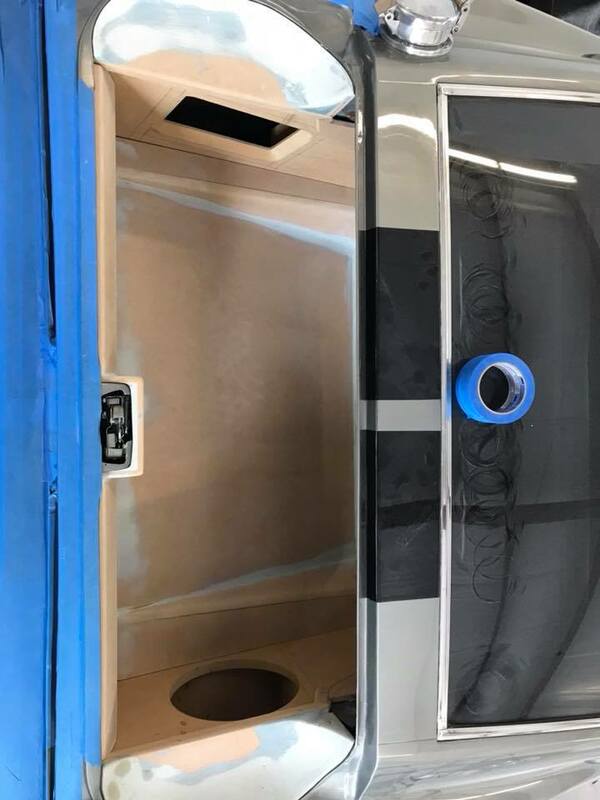 Custom center console fabrication for this classic Ford Mustang and clean trunk subwoofer car stereo installation in Melbourne. What do you do when you want a new touchscreen double din car stereo in your classic car, but there isn't a space for that in the classic dash? 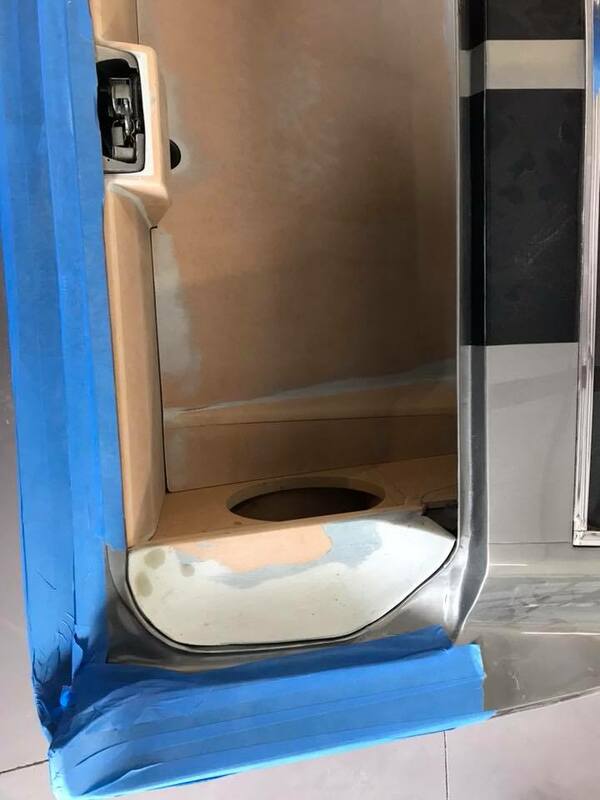 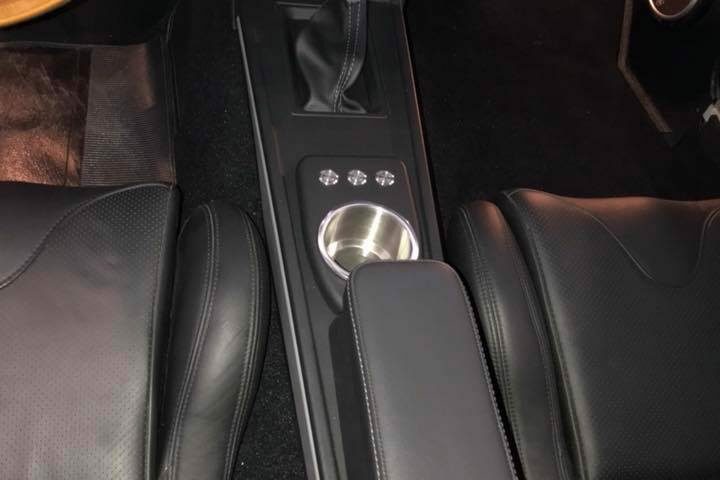 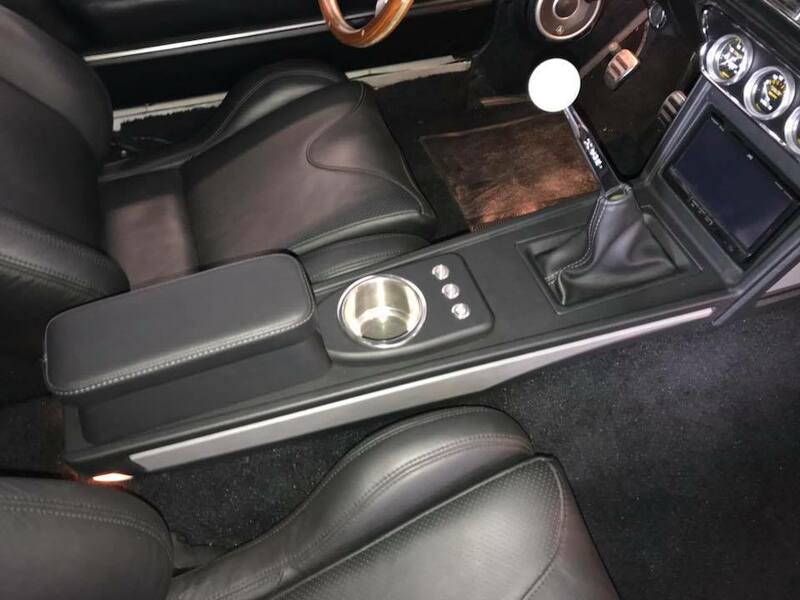 You custom build a center console to hold all the new electronics and make it look like it should have come like that from the factory back in the 60's. We custom designed a center console piece that was able to fit the radio and also include a cup holder and arm rest. 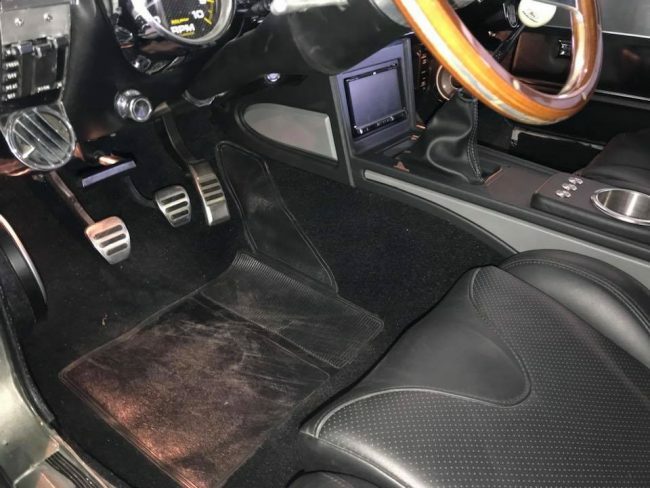 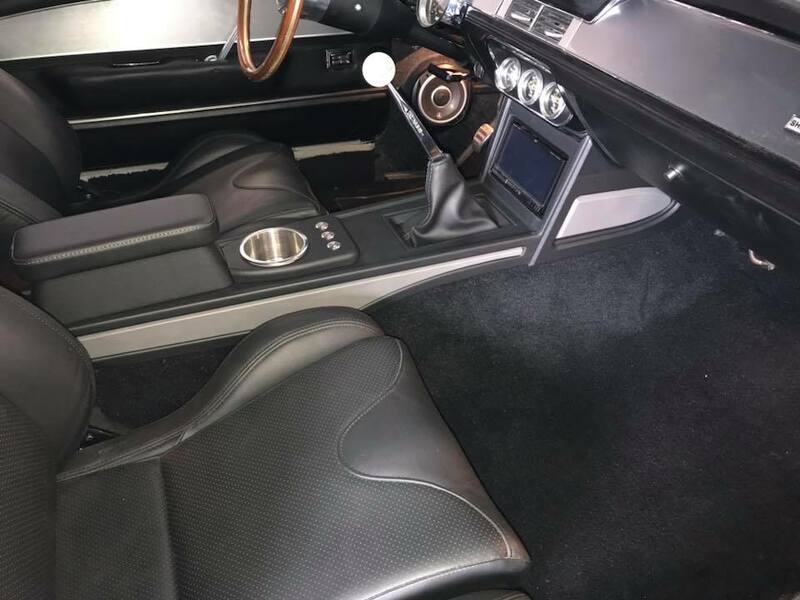 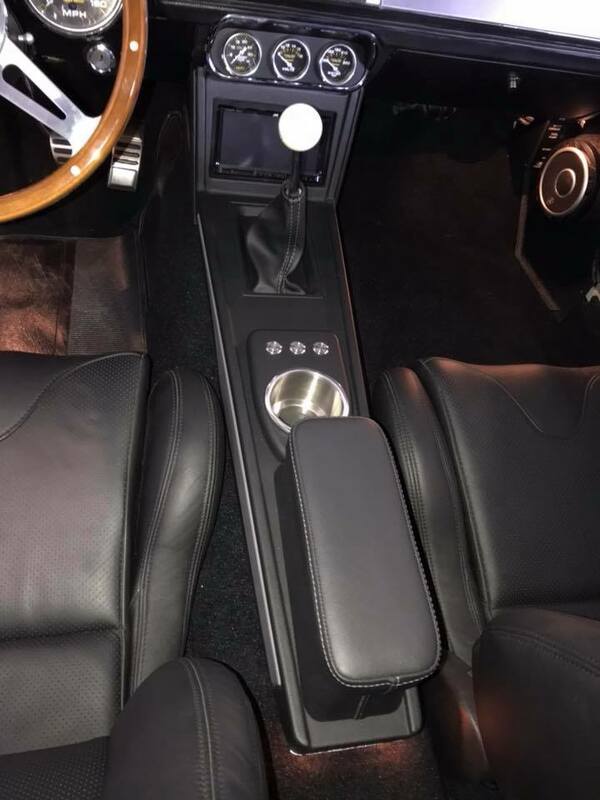 It fits right around the shifter and was painted and wrapped in leather to give it the details needed to blend right in with all the classic styling of the car. 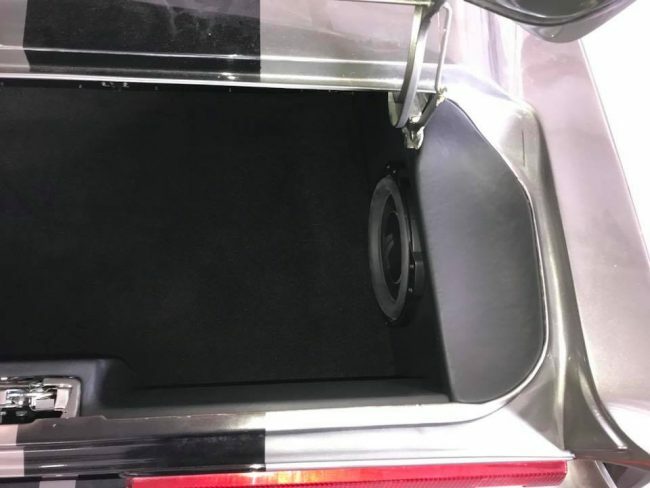 The radio is flush mounted and angled for easy viewing and accessibility. 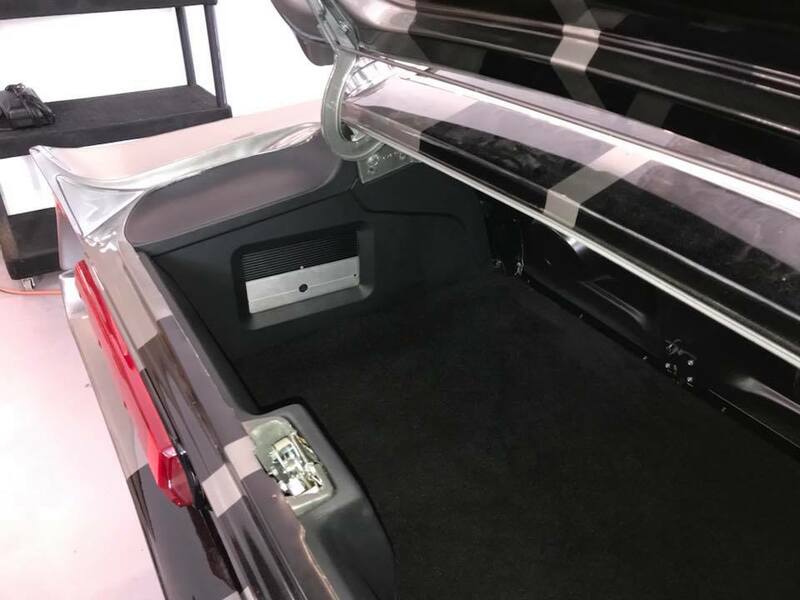 For the trunk we fabricated custom panels all around the trunk to give it a seamless look and keep everything nice and clean. 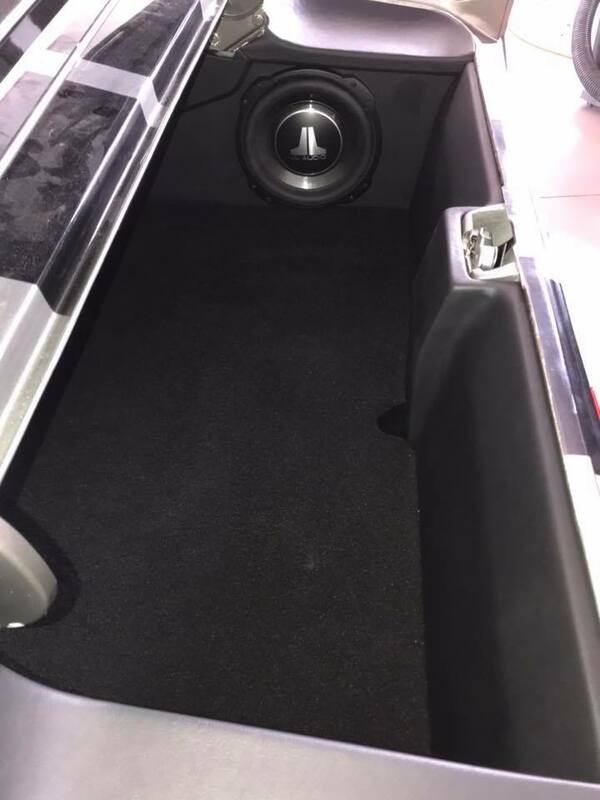 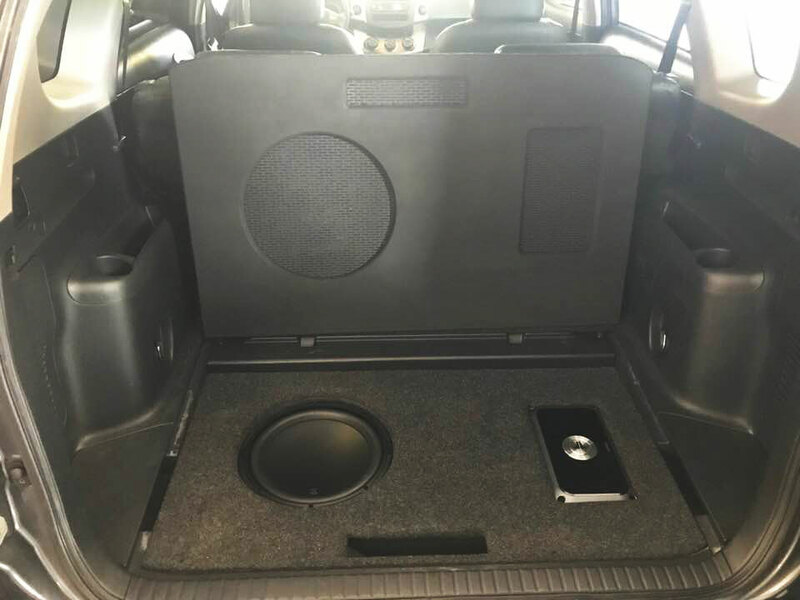 We side mounted the JL Audio subwoofer and on the other side we mounted the JL Audio amplifier with a viewing window for display. Everything was wrapped in black vinyl to match the rest of the car. 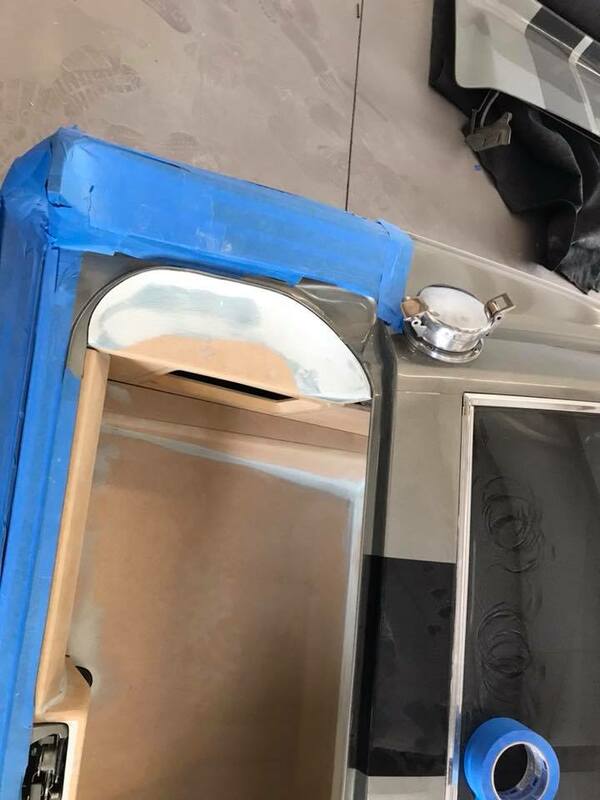 Again, we always try to make our work look like it should have come like that from the factory. 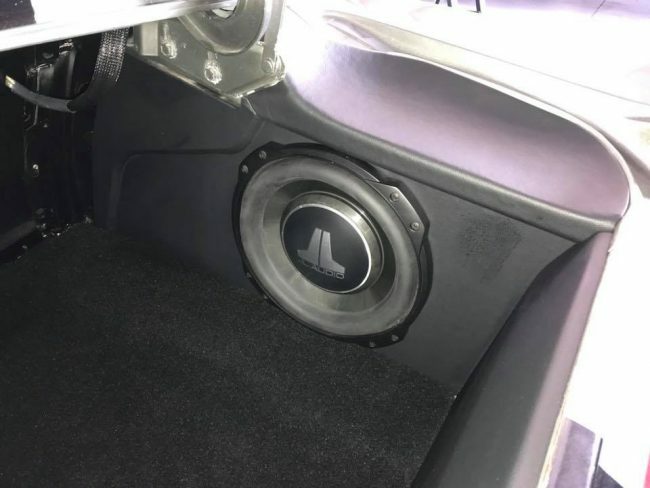 Getting a great sound system in your classic car is not impossible. 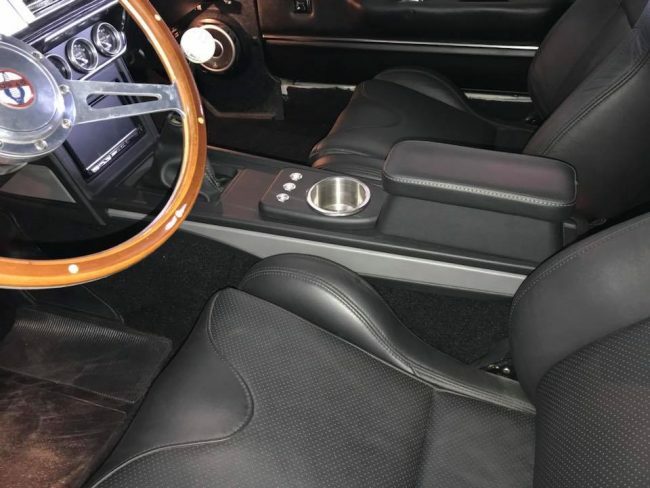 We can make it happen and keep the classic styling of your ride. Bring your classic car to our car stereo shop in Melbourne so we can get started.